Enhances the cat's natural defences and well-being. 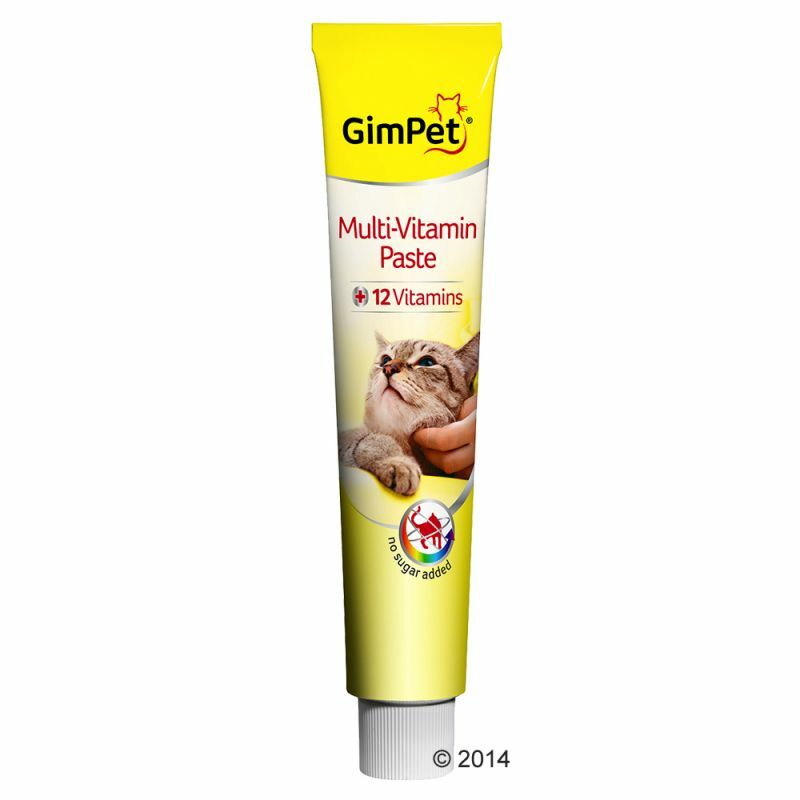 GimCat Multivitamin contains 12 essential vitamins to strengthen the cat's natural physical defences. The natural content of Omega 3 & 6 fatty acids from the oil and the addition of zinc are key requirements for a healthy skin and coat and a strong immune system. Highly recommended for breeding and show cats. Feed 5 cm (1 cm = approximately 0.5 g) per day, ideally from the hand, directly from the tube. Can also be added to food. Feed at room temperature. The proportion of vitamin D3 is greater in Multivitamin Extra than it is in all-inclusive foods. For this reason, the feeding quantity of the paste should not account for more than 10% of the daily amount of food.